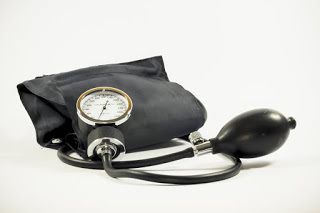 Americans have recorded higher rates of diabetes, heart disease, and hypertension than any other groups. Sadly, most Americans believe that obesity results from individual decisions rather than societal factors. This thought has slowed the progress in stopping this menace that is mostly caused by our food, school, and work schedules, according to the Institute of Medicine. Almost one in two people in the United States will suffer from anxiety disorder, depression, or other mental health condition at some point in life. In addition, almost one in 17 Americans suffer from severe mental illness with young people being prone to this problem. Despite the findings, Millions of Americans do not receive proper care. Even though the federal and state governments have taken steps to change the situation, the progress has been slow and has been undermined by legal wrangles and budget cuts. According to the National Alliance on Mental Illness (NAMI), untreated mental illnesses cost more than $100 billion a year in the U.S. There are no reasonable low-cost options for dental treatments. Getting dental treatment for Medicaid recipients is even harder as was witnessed in 2007 when a 12-year-old died after bacteria from a dental abscess reached his brain. The boy’s mother had tried to seek affordable dental care but was not successful until she sought help from a lawyer. Often, dentists have cited low fees for their reluctance in helping Medicaid patients. (CDC). Worse, more than 3200 under age light up their first cigarette every day. It does not end there; the research also suggests that 2,100 youth who smoke occasionally become daily smokers daily. In America alone, tobacco companies sell almost 300 billion cigarettes every year. Even though America has raised public awareness, smoking is still a huge problem that needs to be addressed. Exposure to ultraviolet (UV) radiation has been identified as the primary cause of skin cancer. In addition, extreme UV can increase the risk of eye diseases like a cataract. However, regardless of these findings, many citizens fail to take note. A 2012 Centers for Disease Control and Prevention (CDC) survey found that 65.6% of white adults aged between 18-29 reported having experienced a sunburn in the last year. The result was an indication that sun protection measures were being overlooked. These health risks have been ignored even though they can result in severe medical conditions. While the government is required to play a primary role in increasing awareness, citizens must also play their part. 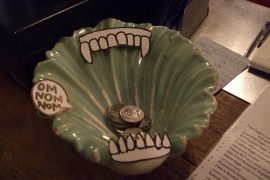 30 Cool Money Tip Jars – designed to make money! 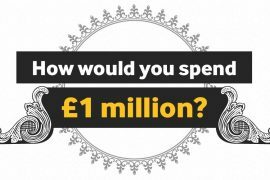 What Would You Buy If You Won £1 Million? What is a Target Audience and Why is it So Important?